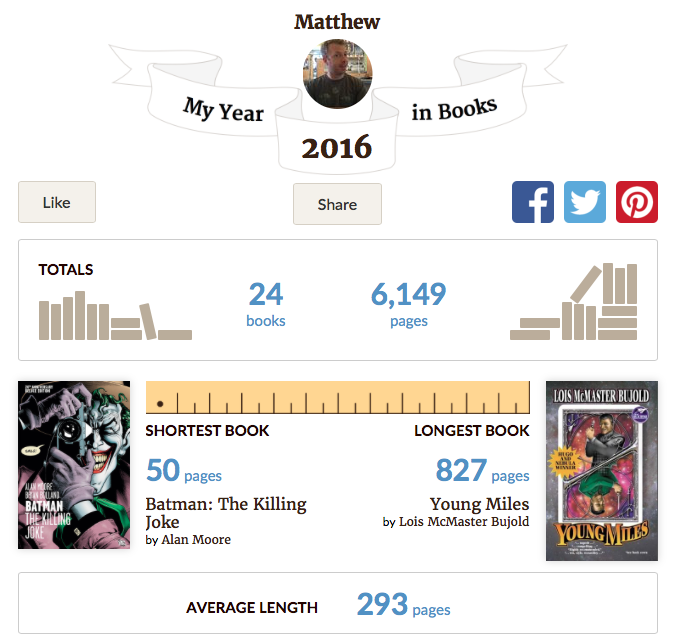 Here is a look back at my books read in 2016. I leveraged my local library a lot this year utilizing the audiobooks and access to comic comic-books. I would highly recommend people go and checkout what digital resources your local library has. My library has three online digital resources for audiobooks, ebooks, and comics that all comes with smartphone or tablet apps. Utilizing these will allow you access to all sorts of audiobooks and comics (even movies and music) that you haven't had before. Here's to a good 2017 of read. What was your favorite reading? You won't often see me get onto a soapbox on my blog here, but with the whole political atmosphere as of late I have seen too many posts on social media and elsewhere from people who have taken a few words from a political philosophy, put it onto a meme and then expanded that to encapsulate and summarize what an entire political theory is. That sort of stuff annoys me to no end. If one wants to disagree with a political ideology they should take the time to try and understand what that theory is, where it came from and why it's ideals came to be where they are. My undergraduate degree was political theory, and while that seems like a sort of useless degree to have in a practical world, I feel like being exposed and reading the works of political theorists has made me an extremely well rounded person and one who can empathize with various points of view. These political theories, philosophies, and movements were born out of a need. They didn't just spring up out of nowhere so there is always at least some degree of legitimacy to what they are trying to convey. Some, in fact many have not stood the test of time, while others ebb and flow in their prominence around the world depending upon various political and socio-economic conditions in the world. While none of them are the Truth, all of them hold some bit of truth and reasoning for why individuals and societies believe what they may believe. So with that in mind, I am going to outline a couple of the works that I have found to be the most influential upon me. Hopefully, you will read some of these yourselves. And please, in the future, don't just Google something and take the first sentence or two of Wikipedia and use that as your education on a topic. All of the books here also have volumes of work worth of discussion and critique upon them so I won't go and try to summarize in detail what they are about. Instead I'll try to mention the main topic from each book that is typically drawn out and discussed in conversations. Most of the books I will recommend are probably in the public domain, so I will try to link to their ebook and if it is available the audiobook. Finally, before I get into my list I want to point everyone to another resource which i feel is way more useful than Wikipedia for a lot of these topics. The Internet Encyclopedia or Philosophy, is a great place to go if you need to get your summarized version for some of these books. Most of these are going to be hard to read so some sort of companion is truly helpful. I am teaching myself to play the mandolin. I have been toying with the idea of learning a new musical instrument for a while now, but I wasn't quite sure what I wanted to latch onto. I was confident that it would be a stringed instrument since that would be completely foreign to me. Megan has stated that she has wanted to learn how to play the violin, ahem, fiddle, for quite some time. One idea I had was to try and find a potential companion instrument, with the hopes that we could one day play together. Various instruments ranging from violin, cello, viola and banjo have all been under consideration. All would allow me to play some folk music and some Irish music as well for Megan. 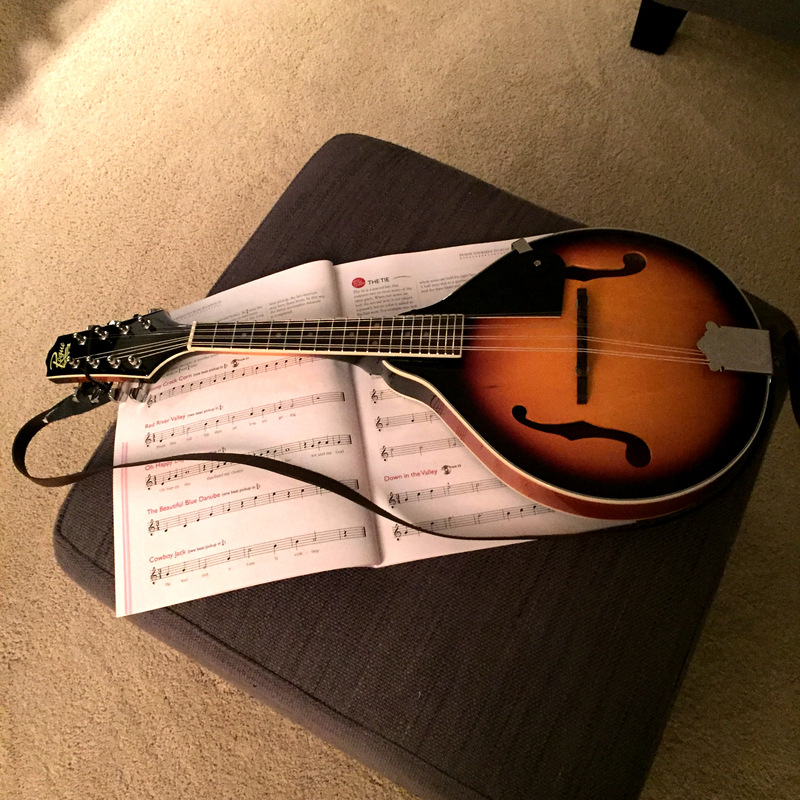 The mandolin emerged as the top contender a couple of months ago. Not only is an entry level mandolin dirt cheap, but I was surprised to find the wide range of music that the mandolin can cover. Being in the lute family the musical repertoire ranges from medieval court music, to just about every folk genre you can find. It seems to have a particularly strong presence in Italian, Irish and American (Bluegrass) folk music. So, mandolin it was. My first couple of days with it were productive, but also a real challenge. My form needs a significant amount of work and many of the notes get a metallic "twang" to them, I think due to my bad finger positioning. Through the book I have purchased and also a fantastic website called MandoLessons.com, I have been able to get down the basic notes, understand the basic fingerings and learn my first three chords. I hope there is a lot more to come.